From the back cover: "Georgia magistrate, mother, wife, and sometime sleuth MacLaren Yarbrough has been invited to join the Magnolia Ladies' Investment Club - and is plumb confused. This snooty group is for dowagers and heiresses; just one of their outfits would cost MacLaren's clothing budget for the year. But she tables that thought when, at her first meeting, she finds outgoing club president Willena Kenan dead, facedown on the bathroom floor with a silver corkscrew protruding from her neck. Since the murder occured during the club's coffee break, when everyone left the room separately, no club member is above suspicion. 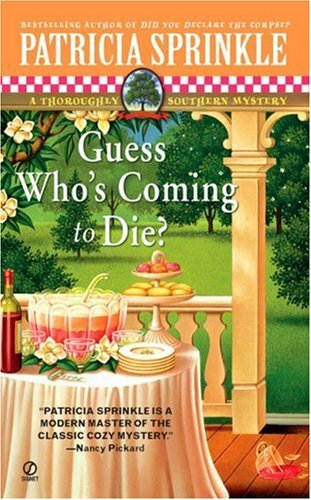 But when the police find a raincoat with incriminating evidence, and MacLaren's daughter-in-law's keys under the deceased, things get stickier than a molasses biscuit left out in the sun...."
I enjoyed this one as much as some of the others I've read in this series. Released at the meet-up tonight at the Rhizome Cafe at 317 E. Broadway. Enjoy!